Marc Guggenheim talks about Amaya’s decision on DC’s Legends of Tomorrow. Tracy Ifeachor will be guest starring on DC’s Legends of Tomorrow Season 3. Maisie Richardson-Sellers’ Amaya WILL be back for Legends of Tomorrow Season 3. 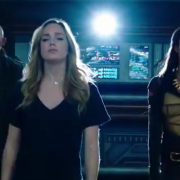 The CW has released an extended trailer for DC’s Legends of Tomorrow Season 2, including clips from the big crossover! 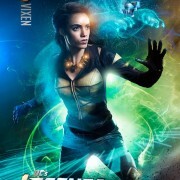 A photo of Maisie Richardson-Sellers as Legends of Tomorrow’s new Vixen has been revealed. Maisie Richardson-Sellers has been cast as the new Vixen for DC’s Legends of Tomorrow Season 2. 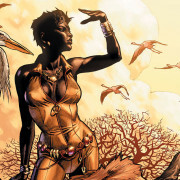 Legends of Tomorrow Season 2 is adding Vixen – but there’s a catch.